For incoming President John F. Kennedy to consider Murrow for the position of USIA director was not as surprising as it might look at first. 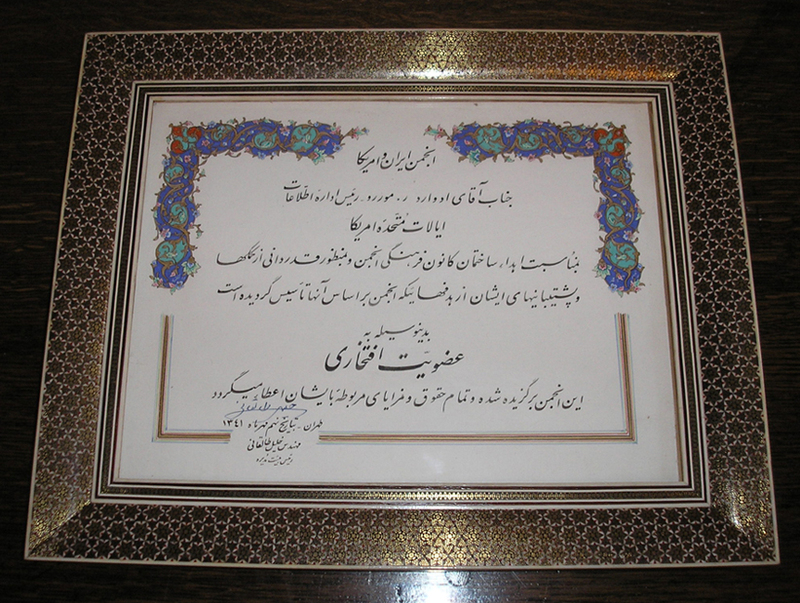 Murrow was part of the Eastern Establishment and a leading news correspondent. 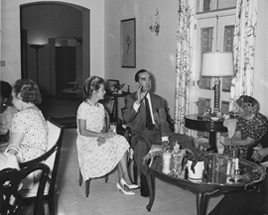 Remember: by 1960, Edward R. Murrow had been a member of the Council on Foreign Affairs for a quarter of a century. He was also a member of the National Commission for UNESCO, the Carnegie Endowment for International Peace, and the Woodrow Wilson Foundation, among other organizations, and was personally acquainted with and had interviewed all U.S. presidents over the last 25 years. He even had coached Adlai Stevenson, Democratic contender for the White House, in the 1950s on how to speak on television during his campaigns. Moreover, Murrow was repeatedly urged, but refused to run for political office, e.g. for a Senate seat in New York in the 1950s or against Nelson Rockefeller for governorship of New York in the early 1960s. Murrow was acquainted with the Kennedys from the years when he worked in London during World War II. At the time, he had been less than favorably impressed by the patriarch of the Kennedy family, Joseph Patrick Kennedy Sr. Joe Kennedy, U.S. ambassador to London from 1938-1940, had to resign as ambassador and give up any hope to ever run for U.S. presidency after his highly problematic interview during the London Blitz in which he declared democracy to be finished and that the Battle of Britain was not about democracy. At the time, his anti-Semitism remained largely uncommented. Later on, the Kennedys, including Robert and John F. Kennedy, did not endear themselves to Murrow because they either had openly supported McCarthy, worked for the senator, or never publicly taken a stance against him. After John F. Kennedy had been elected president of the United States in 1960, he asked Frank Stanton, president of CBS, to become director of USIA. 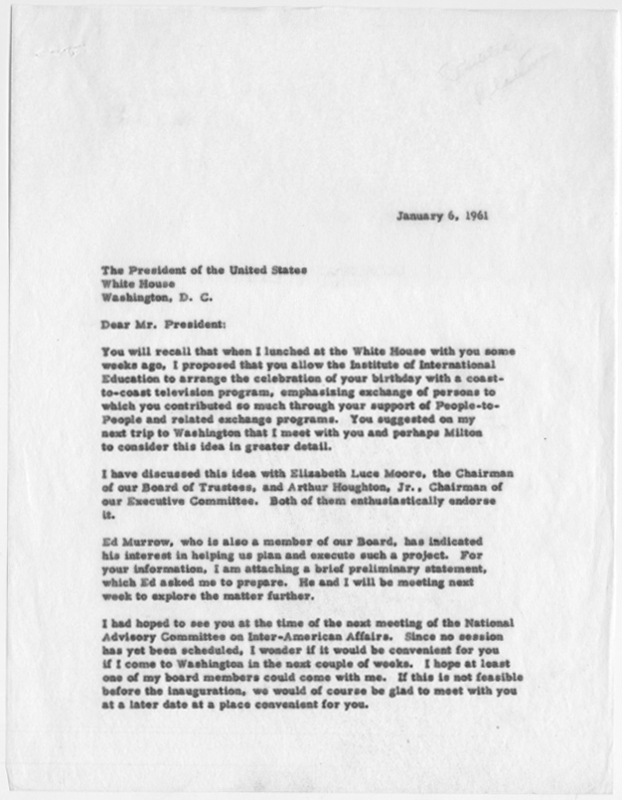 Stanton did not accept but suggested Murrow instead, and Kennedy ultimately offered Murrow the position. Murrow agreed, upon the condition that the USIA director be included in all cabinet and National Security Council (NSC) meetings. 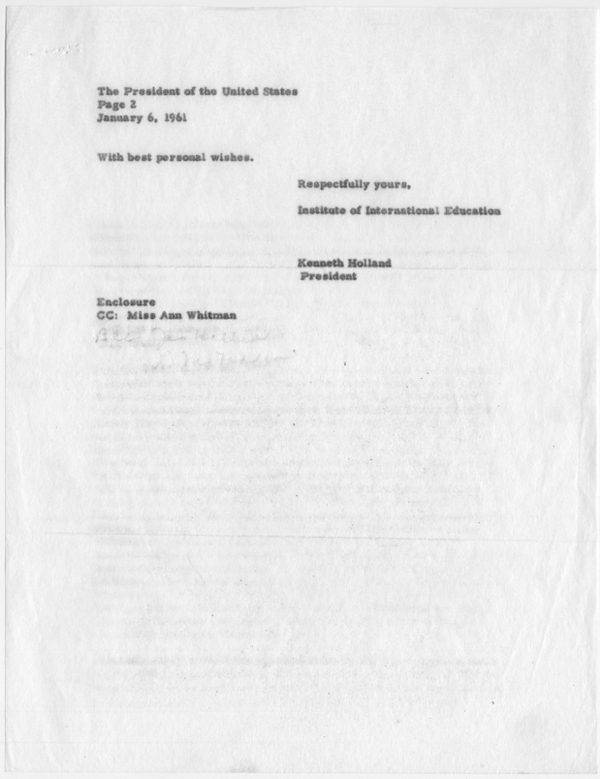 In one sense, this position brought Murrow back to a version of the administrative educational work with which he had started his career working at NSFA and IIE in the 1930s. But accepting the directorship of USIA was also a solution to his quite untenable position at CBS where, by now, he had no permanent programs and little power or influence. The United States Information Agency was responsible for the public image of the United States abroad, and in 1960 it needed an experienced and well-connected spokesperson to improve its own image, as well as the image of the nation. 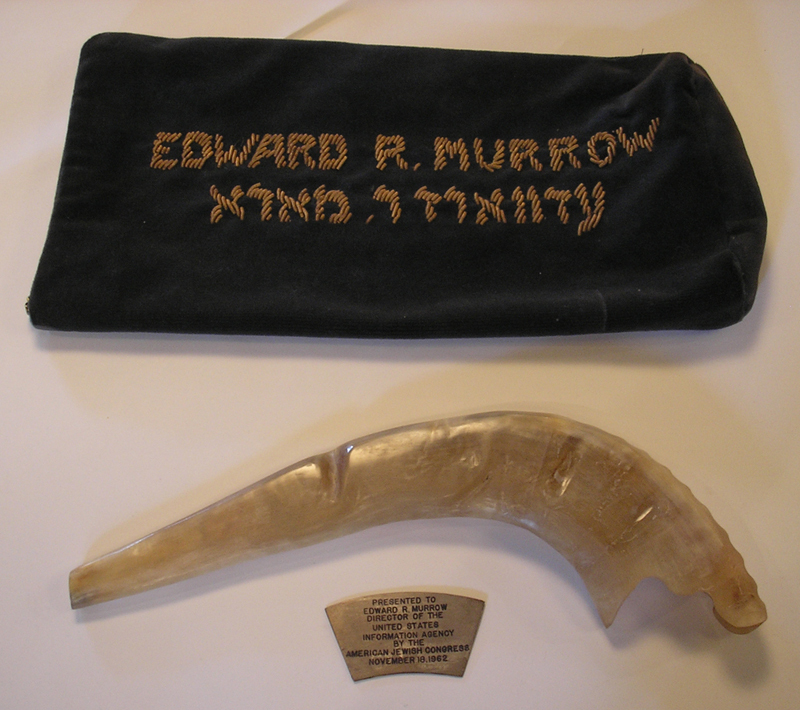 Murrow, as it turned out was not completely new to USIA projects. A couple of years earlier, he had been involved in making a See it Now special about Marian Anderson's 1957 concert tour through Europe, India, and Asia. The tour of the African American opera singer was a USIA program and was typical of President Eisenhower's presidency which used the USIA to send U.S. artists abroad for positive-image tours. In 1961, USIA was a small, under-funded agency with roots going back to the World War II Office of War Information (1942-1945). The USIA, or USIS (U.S. Information Service) as it was known abroad, was formally established in 1953 and consisted of approximately 12,000 employees, had its headquarters in Washington D.C., and was present in over 84 countries. 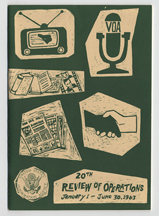 In its publicity material, the agency talked of operating the Voice of America, organizing overseas offices, focusing their services on youth and labor groups, running an overseas research program as well as USIS Information centers, producing movies and providing press and publication services abroad, organizing exhibits, operating libraries and friendship centers, and distributing U.S. science material (e.g. 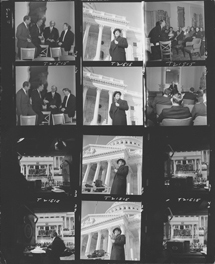 publishing the magazine Science Horizon).1 Less publicly acknowledged, the agency also became a policy body and was engaged in covert activities during Kennedy's presidency. It was probably not an easy transition for Murrow to move from reporting on national and international affairs to carrying out and justifying government policies and running an agency. Kennedy continued the transformation of UISA that had already begun under Eisenhower's administration. In contrast to previous years, when USIA largely organized cultural programs, Kennedy understood and used USIA as a policy body with specific country teams and country plans. Murrow and his two principal deputies endorsed that view. 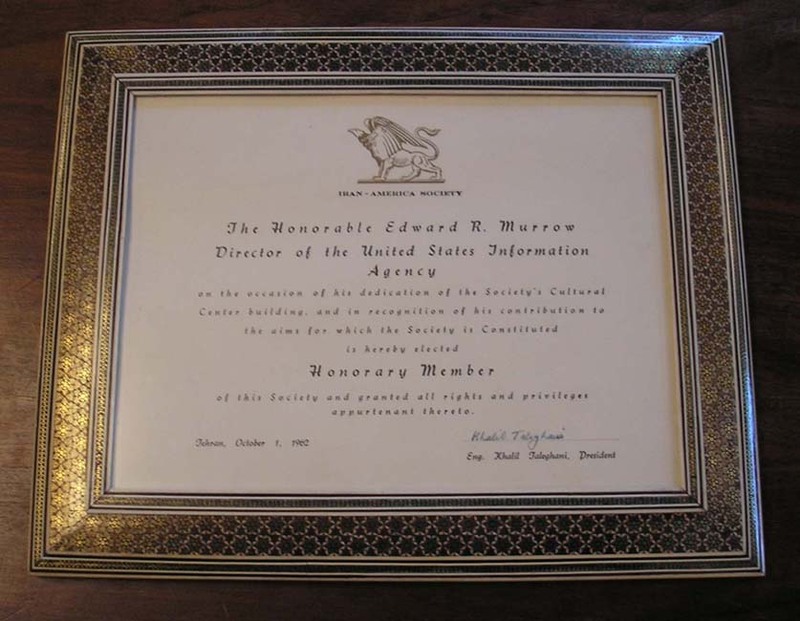 Murrow's deputies were Thomas Sorenson, a longstanding USIA official and brother of Kennedy's principal advisor and speech-writer, and deputy director Don Wilson, former Time Magazine correspondent and member of Kennedy's election campaign and the White House foreign policy transition team. In its overt and covert propaganda programs - the latter programs were more believable abroad because they were not identified with the U.S. government - USIA began to resemble certain CIA operations. In fact, USIA closely collaborated with the CIA. 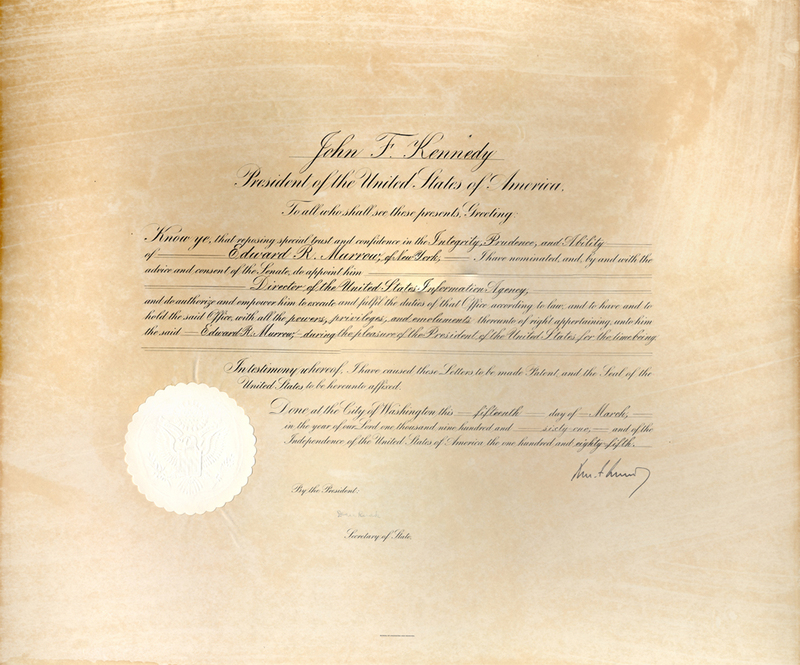 Under Murrow's directorship, USIA projects came to reflect the two major theoretical underpinnings of Kennedy's presidency: modernization and counterinsurgency theories. USIA worked with the Business Council for International Understanding as well as with Alliance for Progress programs in Latin America. It became involved in not only counter-insurgency work, but also counter-insurgency (guerilla) courses taught at the Foreign Service Institute, at war colleges, and at the U.S. Army Special Warfare School at Fort Bragg, NC., among other locations. The agency also became involved in the events unfolding in Southeast Asia by helping with the propaganda work for the counterinsurgency in Northeast Thailand, and coordinating psychological war programs and chairing the Psychological Coordinating Committee in Laos and Vietnam. The USIA was also a member of the Counterinsurgency Committee/Special Group initiated by General Maxwell Taylor, and was responsible for planning covert actions. During these years USIA also sat on the interdepartmental Vietnam Taskforce. And for the first time in its history, USIA was involved in making propaganda for a foreign regime, namely president Ngo Dinh Diem's Republic of Vietnam in 1962. 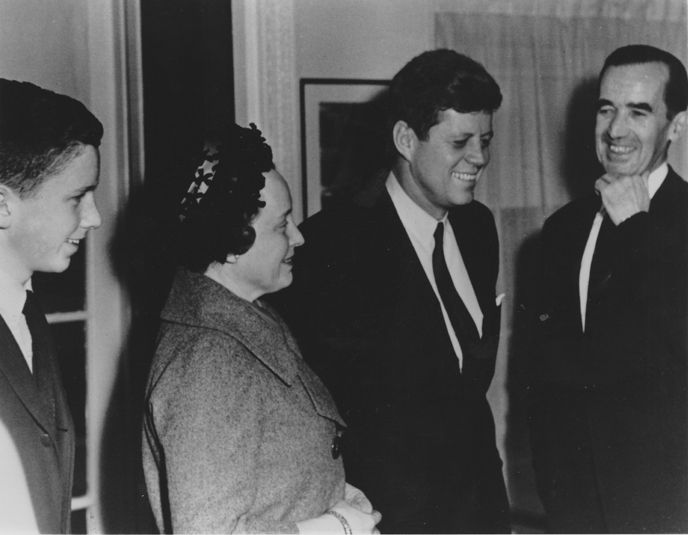 View: Arabic | English Although Murrow usually took part in cabinet and NSC meetings, he was not part of the inner power circle of Kennedy's presidency. While there is no mandate for the nation's information agency to be a functioning policy-making body, being outside the circle put the USIA and its director in a difficult position. As the nation's international propaganda arm, Murrow's agency was charged with promoting and explaining U.S. policies abroad about which it frequently had no prior knowledge, such as the Bay of Pigs Invasion in April 1961; or in which it had had no say, such as "troop reduction in western Europe, arms aid to Indian and Pakistan, and our lack of information regarding planning in connection with Haiti, as example. "3 It was a tension that was never solved and perhaps was unsolvable in principle. With the USIA being part and parcel of the Kennedy's preoccupation with so-called 'developing countries' and their presumed strategic value in the ongoing Cold War, the agency changed its focus accordingly. Under Murrow stewardship, it opened many more posts particularly in Africa, increased radio broadcasting in Latin America, and increased translations of 'appropriate' U.S. books for dissemination abroad. European operations decreased accordingly. 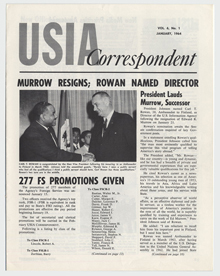 Internally, Murrow emphasized the need for hiring African-American professionals to top ranking USIA positions and the USIA also began recruiting at historically Black Colleges for its entry-level positions. 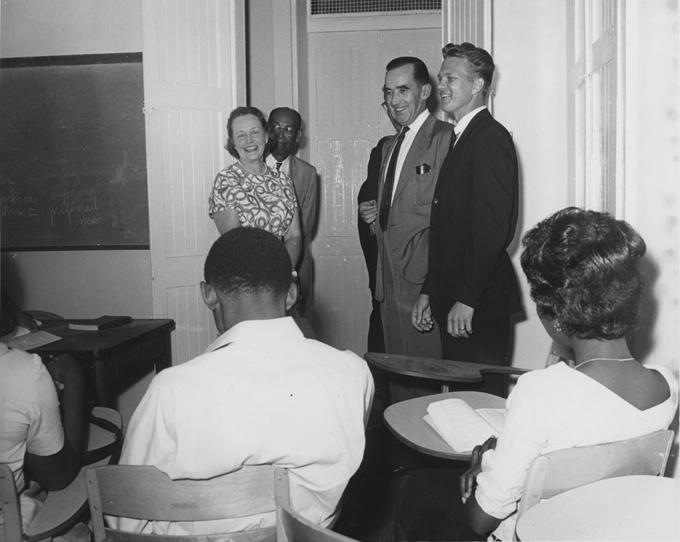 It was also during his administration that the first woman, Barbara White, was appointed to a top senior post in USIS. Unfortunately, he was less successful in one important area: just as with other directors before him, Murrow failed singularly in gaining budget increases for the agency. Murrow's three years at USIA included several international trips to visit field offices. It also included recurring bouts of illness during which his deputies took over, for example during the Cuban missile crisis. Given his state of health and perhaps his disillusionment with his work at the USIA, Murrow was apparently considering moving back to broadcasting in fall of 1963. A conversation with ABC was already scheduled; rumors abounded about conversations with CBS. Then, in the fall of 1963, Murrow fell seriously ill. On October 6, 1963, his left lung was removed due to cancer. While Murrow was still recuperating, Kennedy was assassinated, on November 22, 1963. Murrow returned to work in December. Given his deteriorating health, he offered his resignation to the new president Lyndon B. Johnson, on December 19, 1963. 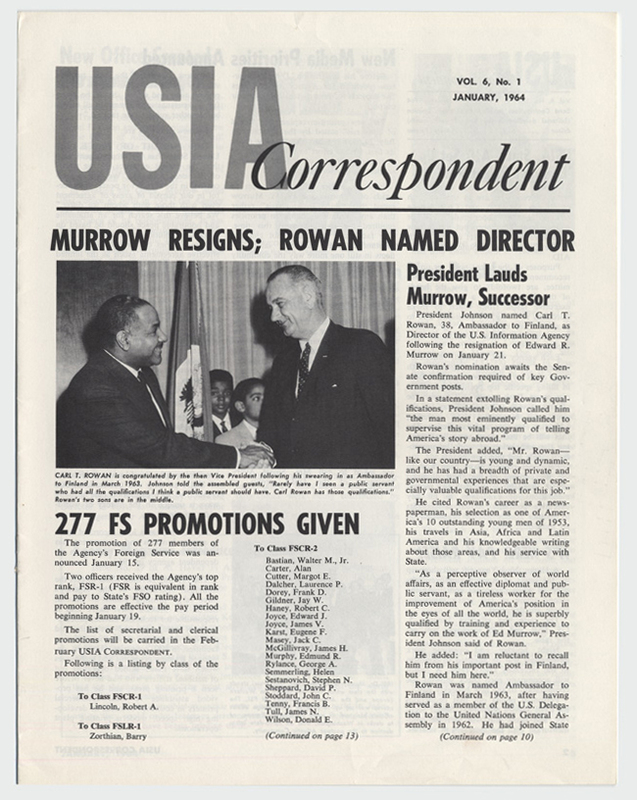 Johnson at first refused to accept his resignation because he wanted to ensure administrative continuity with Kennedy's administration, but in early January 1964, he finally accepted the resignation and announced Carl Rowan as the next director of USIA. 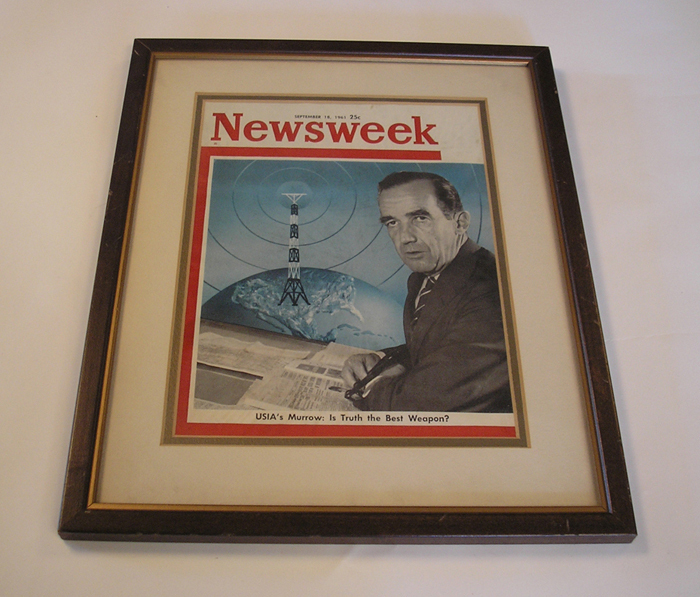 Murrow died of brain cancer on April 25, 1965. 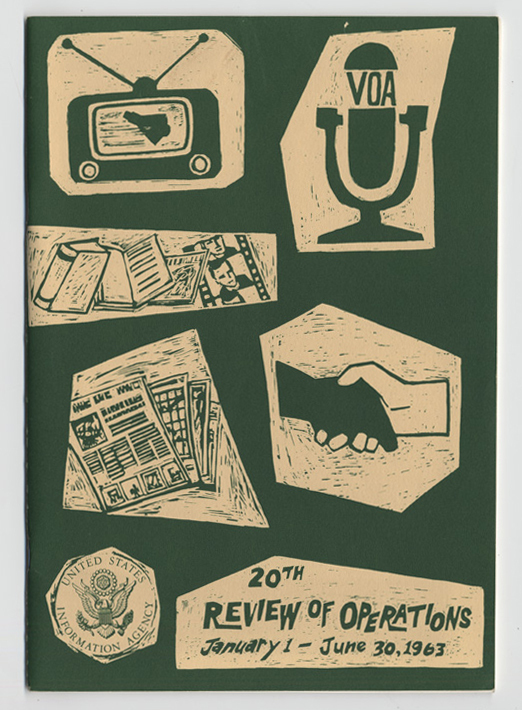 1 See USIA, 20th Review of Operations January 1-June 30, 1963, Edward R. Murrow Papers, ca 1913-1985, DCA. 2 See Sperber (1986) p. 623-687. 3 Murrow, undated memorandum, cited in Sperber (1986), p. 678. 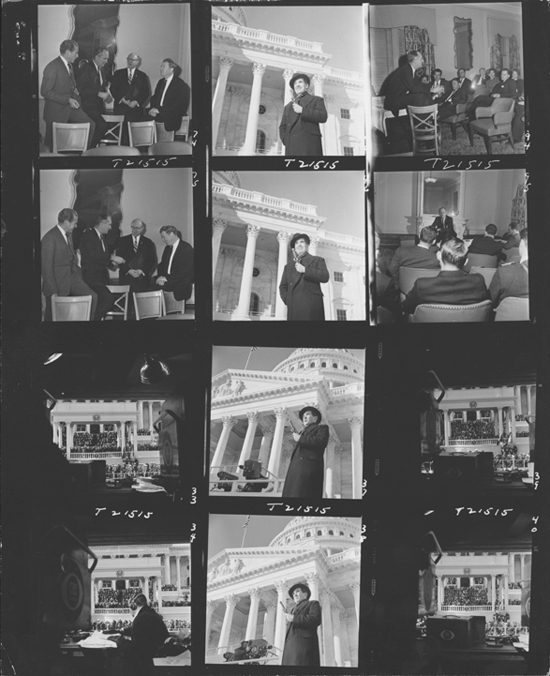 Images All images: Edward R. Murrow Papers, ca 1913-1985, DCA, Tufts University, used with permission of copyright owner. Books consulted include especially relevant sections in Sperber (1986); also Persico (1988) and Kendrick (1969). Connelly, Mark and David Welch, War and the Media: Reportage and Propaganda, 1900-2003. (I. B. Tauris: London, 2005).